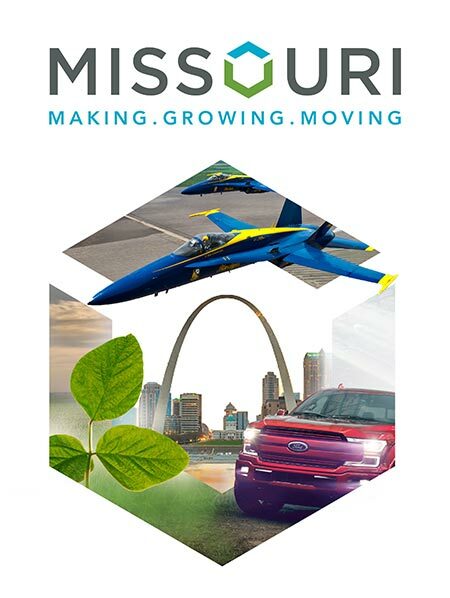 Missouri’s strengths are only getting stronger as the state builds momentum, reduces red tape, encourages entrepreneurs and builds a better workforce — all for the benefit of business in the Show Me State. It’s amazing what a difference three days can make. Innovation districts across the state are inspiring the next generation of new ideas and technologies. Missouri’s elected leadership and economic development team are not content with high rankings. Dixon: Cut red tape, streamline regulations, lower taxes, fund innovation and train workers. Missouri slashes business tax rates to improve its competitive position. Competitive programs, low taxes, give the Show Me State an edge. The Kansas City automotive corridor has grown even larger when Faurecia announced it would build a $60-million plant in Blue Springs. Missouri’s southwestern corner is the nation’s reman capital. How Springfield Became the Stainless Steel Capital of the U.S.
Springfield sparkles with more than two dozen companies supplying everything that’s made of stainless steel. Markets, prowess and multimodal options are among the reasons distribution operations cluster in the nation’s center. What does it mean to grow the energy sector? Missouri’s bioscience and health innovation companies are leading the way to life saving research and scientific advancements. St. Louis is a Global Leader in Bioscience, Agtech and Innovation. Regardless of which stage of life Missourians may find themselves, the state has something for everyone. High school students earn science degrees and employment in half the time through the Missouri Innovation Campus. Missouri’s workers are highly skilled and dedicated to the job. When you are the host city to the state’s flagship university, employers tend to pay close attention to your labor pool. Cape Girardeau came to be known as The City of Roses when a popular 9-mile stretch of road through town was once lined with dozens of rose bushes. They don’t call Kirksville the “Smartest City in Rural America” without reason. Kansas City is not just the largest city in Missouri; it’s one of the most vital economic hubs in the center of the country. Rand McNally reports that Jefferson City, the capital of Missouri, holds the title of America’s Most Beautiful Small Town. Nestled in the foothills of the Ozarks in Southeast Missouri, half way between St. Louis and Memphis, Tennessee, lies the town of Poplar Bluff. Joplin is more than back. It is better than ever. Missouri’s prime location doesn’t get more convenient for businesses looking to grow in the Midwest. The St. Joseph region in the Northwest corner of the state doesn’t do mediocre. St. Louis is a powerhouse of business activity in the state. While tourism is the region’s bread and butter, its business acumen should not be underestimated. The third largest city in the Show-Me State, Springfield is a tried-and-true location for companies looking to locate in the Show Me State. To find top engineering talent in the Show-Me State, all one needs to do is look around. Southeast Missouri State University is growing business, opportunity and collaboration. Washington University in St. Louis is committed to strengthening scientific knowledge. The university was named among the best in the Midwest by The Princeton Review and U.S. News & World Report. University of Missouri – Columbia is a leader in athletics, research and more.